CIT –i vs. CHD Developers Ltd.
S. Ravindra Bhat, J. – The substantial question of law urged in this appeal by the revenue pertains to Section 80IB (10), particularly Section 80-IB (10)(a)(ii) read with the Explanation. 2. It is urged that the Income Tax Appellate Tribunal (ITAT) fell into error in granting the benefit of Section 80IB (10), having regard to the fact that the project completion certification had not been issued, in the facts of this case, by the authority prescribed by Explanation (ii). (ii) in a case where a housing project has been, or, is approved by the local authority on or after the 1st day of April, 2004 but not later than the 31st day of March, 2005, within four years from the end of the financial year in which the housing project is approved by the local authority. (iii) In a case where a housing project has been approved by the local authority on or after the 1st day of April, 2005, within five years from the end of the financial year in which the housing project is approved by the local authority. 5. The Income Tax Officer for the assessment year 2007-08 sought to disallow the benefit claimed by the assessee on the reasoning that the completion certificate in terms of Explanation (ii), had not been granted so as to enable it to avail the benefit, provided by Section 80IB (10). The assessee had then relied upon the letter appearing for the issue of the completion certificate written on 05.11.2008. The CIT (A) rejected the assessee’s appeal. The assessee accordingly approached the Tribunal which after due consideration of the arguments, granted the benefit claimed by it. 6. Counsel for the revenue urges that the Tribunal fell into error in not giving effect to the Explanation (ii) which mandates that the completion envisioned by Section 80IB (10)(a)(ii) is that the completion certificate should be issued before the end of the relevant period i.e. 4 years from the end of the financial year in which the housing project is approved by the local authority. Elaborating on this, counsel submitted that since the approval was granted on 16.03.2005 in this case, the period by which the completion certificate ought to have been issued by the local authority was 31.03.2009. That the assessee claimed completion certificate on 05.11.2008 was of no avail to it because of the terms of Explanation (ii). Counsel submitted that having regard to these circumstances the Tribunal fell into error in granting the benefit instead of upholding the order of CIT (A). ‘8. Now we shall take up the appeal of the assessee (ITA no.4694/Del/10 for A.Y. 2007-08). Though the assessee has raised as many as seven grounds for appeal, but if all the grounds are summarized, the only ground remains which pertains to the disallowance of deduction u/s 80-IB(10). Learned counsel for the assessee also fairly explained that the issue pertains to only 80-IB(10) and the remaining grounds are only argumentative. 8.1 The crux of argument on behalf of the assessee is that the vide letter dated 5-11-2008 the assessee had applied for completion certificate but the completion certificate was not issued to the assessee which is beyond the control and power of the assessee. Our attention was also invited to page 22 of the paper book containing a certificate signed by the Architect of the assessee i.e. Candid Design Consortium Pvt. Ltd., in which the total area of the Type-A flat has been mentioned at 1492.43 sq. Ft. Ld. Counsel submitted that for A.Y. 2006-07 deduction was allowed to the assessee and it is the same sanction plan which could not be denied for the next year. It was emphatically argued that the total built up area is below the prescribed limit of 1500 sq. Ft. And there is no violation of the Act. It was also pleaded that the project was approved on 16-3-2005 which is well before 1-4-2005 and the assessee was to complete the project on or before 31-3-2009. The ld. counsel also relied on the decisions of Visakhapatnam & Delhi Benches of the ITAT as also the decision of Hon’ble Gujarat High Court, which we will discuss while coming to a particular conclusion. The crux of the argument is that requirement of completion certificate was merely directory and not mandatory. Reliance was placed upon the decision dated 29-2-2012 of Hon’ble Karnataka High Court (CIT v. Anriya Project Management Services (P.) Ltd.  209 Taxman 1/21 taxmann.com 140) to the effect that it is prospective in nature. 8.2 On the other hand, ld. Sr. DR took us to various pages of the assessment order by submitting that the case laws relied upon by the assessee are not applicable to the facts of the present appeal and even no such certificate was issued to the assessee till date, therefore, deduction was rightly denied to the assessee. 8.3 In reply, the learned counsel for the assessee contended that for AY. 2006-07 on identical facts deduction was granted to the assessee on some of the flats, therefore, for the sake of consistency no “U turn” is permissible for the next year, specially when the facts are same. 8.4 We have considered the rival submissions and perused the material available on record. The facts in brief are that the assessee declared taxable income of Rs.5,97,15,620/- in its return filed on 31-10-2007. The case of the assessee was selected for scrutiny. The assessee claimed deduction of Rs.5,19,92,472/- u/s 80-IB(10). The Assessing Officer asked the assessee to give justification for claiming such deduction. Ld. Assessing Officer denied the claim on two counts – firstly, the built up area of the unit is above prescribed limit of 1500 sq. Ft. And secondly for earlier assessment order identical deduction was claimed by the assessee and the assessee violated the conditions stipulated u/s 80-IB(10) in Type – A flats. Ultimately, the ld. Assessing Officer denied such deduction to the assessee. The assessee filed various documents before the Assessing Officer and the same were examined by her. Finally the ld. Assessing Officer concluded that the conditions laid down u/s 80-IB(10) were not satisfied, therefore, the claim of deduction could not be allowed to the assessee. 8.5 On appeal before the ld. CIT(A) the claim of the assessee was examined and ultimately the assessment order was upheld. The aggrieved assessee is in appeal before this Tribunal. 8.7 If the aforesaid is analyzed, we find that the grievance of the revenue is that the sales made to M/s. Rajasthan Global Securities Ltd. are not properly accounted for and undue profit has arisen on account of sec. 80-IB, whereas the claim of the assessee is that it is a normal business transaction and the assessee has no mutual relation what-so-ever with M/s. Rajasthan Global Securities Ltd. So far as the built up area is concerned, as has been alleged by the revenue that it is beyond the prescribed limit of 1500 sq. Ft., we have perused the sanction plan, submissions before the Assessing Officer as well as before the ld. CIT(A) and the break up dimensions adduced by the assessee. Such break up even has been reproduced at pages 7 & 8 of the impugned order, as per which the total area has been claimed by the assessee at 1492.43 sq. Ft.
8.9. If the aforesaid position of law existing at the time when the plan was sanctioned/ approval was granted to the assessee is analyzed, there was no condition like production of complete certificate. This is a settled legal proposition of law that the law existing at the particular point of time will be applicable unless and until it is specifically made retrospective by the legislature. The substitution so made, is therefore, applicable prospectively and not retrospectively. There is an uncontroverted fact that approval was granted to the assessee on 16-3-2005, consequently the assessee was expected to complete the project on or before 31-3-2009. Now the question arises whether the project was completed by the assessee within time. As is evident from the letter of the assessee dated 5-11-2008 addressed to the Vice Chairman Mathura Vrindavan Development Authority, on which the seal and signature of the concerned authority is affixed (page 28 of the paper book), it has been specifically requested that the construction has been completed and further request has been made for grant of completion certificate of Phase-I, meaning thereby, if not earlier, the project was presumed to be complete as on 5-11-2008 because the concerned development authority has neither said that the project was not complete nor completion certificate was issued to the assessee. In the absence of any variation or allegation if such certificate is not issued to the assessee, whether the assessee can be penalized for the act of an authority on which it has no control, the obvious reply is that for the fault of others anybody should not be penalized, more specifically when the project was approved on 16-3-2005. Therefore, the law applicable as on date will be applicable to the assessee. It is not expected that the assessee will demolish the construction work which is already in progress and again comply with the direction of the law which was inserted on a later date which is prospective in nature. If the intention of the legislature would have been to make it effective from retrospective effect, nothing prevents the legislature to do so. 8.10 If the issue is analyzed in the light of case laws cited before us, we find that the Hon’ble Karnataka High Court vide judgment dated 29th February 2012 in the case of CIT v. Anriya Project Management Services (P.) Ltd.  209 Taxman 1/21 taxmann.com 140, considered the decision like CIT v. G.R. Developers  209 Taxman 65 (Mag. )/22 taxmann.com 265 (Kar.) and held that definition of built up area was inserted by Finance (No.2) Act of 2004, which came into effect from 1-4-2005, is prospective in nature and has no application to the housing projects which were approved by local authority prior to that date, strongly supports the case of the assessee. It was held by the Hon’ble High Court that the assessee was entitled to hundred per cent benefit of sec. 80-IB(10). 8.11 Another case cited was from Visakhapatname Bench of the ITAT in the case of M/s. Vishnu Builders v. ACIT (ITA nos. 178, 179 & 180/Vizag/2011), order dated 27th July 2011. In that case also, completion certificate was not filed before the Assessing Officer and the proof of municipal tax assessment of various flat owners establishing that the housing project was completed before September 2008 was filed. Since there was no practice of issuing the project completion certificate, therefore, it was held that it was not a condition precedent of filing the completion certificate for allowing deduction u/s 80-IB(10) of the Act. 8.12 In the case of CIT v. Tarnetar Corpn. 210 Taxman 206 (Mag. )/26 taxmann.com 180 the Hon’ble Gujarat High Court vide judgment dated 12-9-2012, observed that the confirmation issued by municipal authorities was filed on 15-2-2006 and was rejected on 1-7-2006. The assessee also paid penalty for regularization of the units. Since construction was completed well before 31st March 2008, the outer limit for such construction and the permission was not granted by they municipal authority, it was held that fulfilling of every condition is not mandatory and if there is a substantial compliance, the minor deviation thereof would not vitiate the very purpose of deduction. 8.13 The ITAT Delhi Bench ‘G’ in the case of ACIT v. Surendra Developers etc. (ITA nos.2743 to 2745 & ITA nos. 3056 to 3058/Del/2010) vide order dated 1-8-2012, held that wherein the assessee applied for completion certificate before the lower authorities in time and such certificate was not issued by the local authority, such non-issuance was beyond the control of the assessee. While coming to this conclusion the Bench also considered another case of Ms. Girija Colonizers (ITA nos. 2417 to 2422/Del/11 order dated 9-12-2011). 8.14 The ld. Sr. D.R. also placed reliance upon the decision of the Tribunal of Chennai Bench in ACIT v. Viswas Promoters (P.) Ltd.  5 ITR (Trib.) 449 on the issue of built up area not exceeding 1500 sq. ft. It was held that if this condition is not fulfilled, the assessee is not eligible for deduction. However, we find that in the present appeal, the built up area is below the prescribed limit of 1500 sq. ft. Therefore, this decision may not help the revenue being distinguishable on facts. 8.15 If this issue is analyzed with the view point of rule of consistency, we are of the considered opinion that though the principle of res-judicata is not applicable to the income-tax proceedings, yet for the sake of consistency and for the purposes of finality in all litigations, including litigation arising out of fiscal statutes, earlier decisions on the same question should not be reopened unless some fresh facts are brought on record in subsequent assessment year. For A.Y. 2006-07, even the ld. CIT (A) decided the issue in favour of the assessee, which was confirmed by the Tribunal (supra), therefore, unless and until any new material facts are brought on record, the revenue is not permitted to take a “U turn”, while denying the claimed deduction to the assessee, that too on same facts and circumstances. Our view is fortified by the decision of Hon’ble Jurisdictional High Court in the case of CIT v. A.R.J. Security Printers  264 ITR 276 (Delhi); and the ratio laid down in CIT v. Neo Poly Pack (P.) Ltd.  245 ITR 492 (Delhi); Berger Paints India Ltd. v. CIT  266 ITR 99 (SC); CIT v. Lagan Kala Upvan  259 ITR 489 (Delhi); and Union of India v. Kaumudini Narayan Dalal  249 ITR 219 (SC). From this angle also, the assessee is having a strong case in its favour. 8.16 Leave apart, we are of the considered opinion that the assessee is expected to complete the project as per the approved plan at a particular point of time and the assessee is not expected to do or to fulfil the conditions which are not in existence at the relevant point of time or made compulsory after making some amendment in the Act from the future date. Since the assessee was to complete the project on or before 31-3-2009 and request was duly made with the Competent Authority on 5-11-2008 mentioning that the project has been completed and completion certificate may be issued and if the same is not issued by the Competent Authority the assessee should not be penalized for the same unless and until some contrary facts are brought on record evidencing that the assessee contravened the conditions contained in the approval granted by such Competent Authority. As per sub-section (10) of Sec. 80-IB, the housing project which were approved before 31st day of March, 2008, the benefit will be hundred per cent subject to fulfilment of certain conditions. However, this condition was substituted by the Finance (No.2) Act of 2009 with effect from 1-4-2009, which has been further explained by sub-clause (ii) to the Explanation regarding completion certificate. However, since the approval was granted to the assessee on 1-4-2005, therefore, the assessee is not expected to fulfil the conditions which were not on the statute when such approval was granted to the assessee. Therefore, the appeal of the assessee deserves to be allowed. ’21. Neither the assessee nor local authority responsible to approve the construction projects are expected to contemplate future amendment in the statute and approve and/ or carry out constructions maintaining the ratio of residential housing and commercial construction as provided by the amended Act being 3% of the total built up area or 5000 sq. feet which ever is higher (now in post 2010 period) or 5% of the aggregate built up area or 2000 sq. feet whichever is less. Revenue is also in error to suggest that even if such conditions are onerous, they are required to be fulfilled. The entire object of such deduction is to facilitate the construction of residential housing project and while approving such project when initially there was no such restriction in taxing statute and the permissible ratio for commercial user made 5% to the total built up area by way of amendment and reduction of which by further amendment to 3% of the total built up area, has to be necessarily construed on prospective basis. 22. As is very apparent from the record, there was no criteria for making commercial construction prior to the amended Section and the plans are approved as housing projects by the local authority for both the projects of the appellant. Permission for construction of shops has been allowed by the local authority in accordance with rules and regulations, keeping in mind presumably the requirement of large townships. However, the projects essentially remained residential housing projects and that is also quite apparent from the certificates issued by the local authority and, therefore neither on the ground of absence of such provision of commercial shops nor on account of such commercial construction having exceeded the area contemplated in the prospective amendment can be made applicable to the appellant assessee whose plans are sanctioned as per the prevalent rules and regulations by the local authority for denying the benefit of deduction of profit derived in the previous year relevant to the assessment year as made available otherwise under the statute. 24. Karnataka High Court in the case of CIT v. Anriya Project Management Services (P.) Ltd.  21 taxmann.com 140/ 209 Taxman 1 (Kar.) was also examining this provision where the question was whether the definition of ‘built-up area’ inserted by Finance (No.2) Act, which became effective from 1.4.2005 is prospective or retrospective in nature and it held that the same to be prospective in nature. It held that amendment provision would have no application to housing projects, which were approved by the local authority prior to 1.4.2005 in calculating 1500 sq. feet of residential unit and it further held that once such housing project of assessee is approved by local authority prior to 1.4.2005, it would be entitled to 100% benefit of Section 80IB(10). While so holding, it relied on the judgment of the Karnataka High Court in the case of CIT v. G.R. Developers  209 Taxman 65 (Mag. )/22 taxmann.com 265. 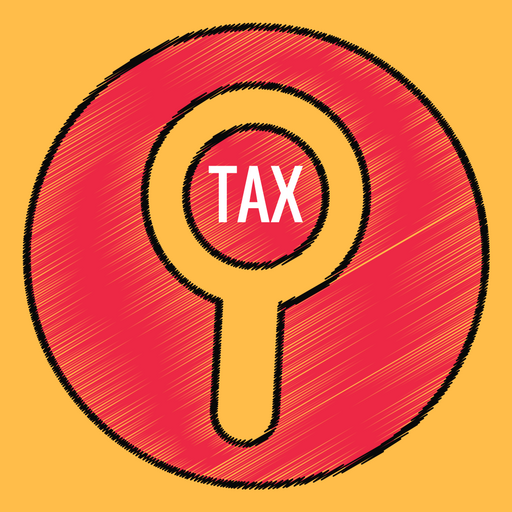 (a) The deduction can be claimed on a year to year basis where the assessee is showing profit from partial completion of the project in every year. 26. From the reading of the above instruction, it can be also said that the Government being aware of both the accounting methods has expected either of them to be followed in cases of individual assessee. However, in post amendment period, strict adherence to completion period of four years is insisted upon where project completion method is followed. This limitation of period did not exist prior to the amendment, what is vital to draw from this is that the amendment cannot discriminate those following project completion method if in the interregnum period, amendment is brought in the statute. The say of the assessee therefore gets further fortified when it says that only because it chose to follow the method of accounting of project completion basis, whose completion date falls after 1.4.2005, they can be denied the deduction on profits derived and those assessee who claim deduction on work-in-progress basis, they would be entitled to such deduction. However, it necessitated strict compliance of the provisions and completion of the same within the stipulated time period. 10. In the present case concededly the approval for the project was given by the Mathura Vrindavan Development Authority on 16.03.2005. Clearly the approval related to the period prior to 2005, i.e. before the amendment, which insisted on issuance of the completion certificate by the end of the 4 year period was brought into force. We are in full agreement with the Gujarat High Court that the application of such stringent conditions, which are left to an independent body such as the local authority who is to issue the completion certificate, would have led to not only hardship but absurdity. As a consequence, we are of the opinion that the reasoning and conclusions of the Karnataka High Court and the Gujarat High Court are fully applicable to the facts of this case. The Tribunal was not, therefore, in error of law while holding in favour of the assessee. 11. In view of the above no substantial question of law arises for consideration. The appeal is accordingly dismissed. This entry was posted in Section 80-IB and tagged 362 ITR, Delhi High Court, In favour of Assessee.